.. ..Stacey Lee began singing before she speak. Naturally, her life has been grounded in the music business ever since. A highly accomplished session vocalist and live performer, Stacey Lee has been delighted to add creative touches on several world class stages, albums, radio and television themes and has worked with renowned producers David Foster, J. Richard Hutt, and Jason Barry. She has also had great success singing on remote sessions for producers and artists across the North America from the comfort of her own home studio. Most recently, she can be seen as a featured member of Canada's swing supergroup, The Western Swing Authority. With them she performs an eclectic mix of Western swing, jazz and traditional country standards along with 6 more of Canada's finest musicians, including her husband, two time CCMA fiddle player of the year Shane Guse. For more information on The Western Swing Authority show dates and album info, visit www.thewesternswingauthority.com. Along with her work with the "WSA", Stacey Lee has toured live and "virtually" with Jason McCoy of The Road Hammers and was featured on his single, "I Lie". She has backed numerous other Canadian artists onstage and in studio including Jason Blaine, John Landry, Lace, Michelle Wright, Tonya Kennedy, Jamie Warren and Sean Hogan to name just a few. As a former member of Juno-nominated country sensation, LACE, Stacey Lee had the opportunity to tour all across Canada, the U.S. and into Europe, performing as a part of the George Strait Country Music Festival, the Calgary Stampede and many other North American music festivals. She has shared the stage with endless legendary artists including Merle Haggard and The Nitty Gritty Dirt band. 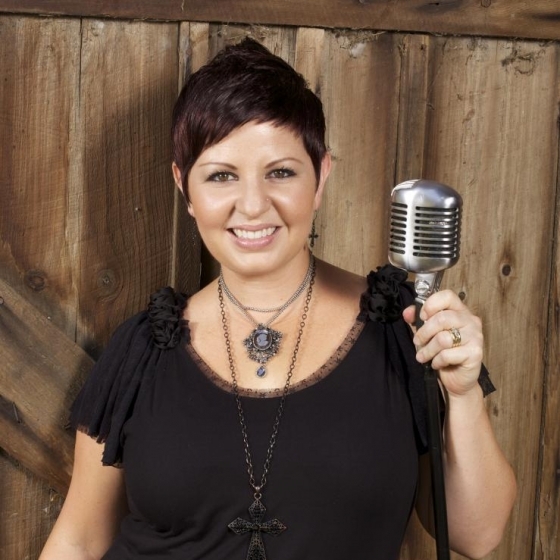 Stacey Lee can be seen on CMT in videos and specials with Lace, and also with John Landry, singing their CCMA nominated duet "My Heart Says Yes (But The Hurt Says No)"